Mr. Paul Redfield, a resident of the Michael J. Fitzmaurice South Dakota Veterans Home, conceived this project in 1999. VHI is the result of his vision of veterans providing honorable and dignified burial vessels for fellow veterans and their spouses. 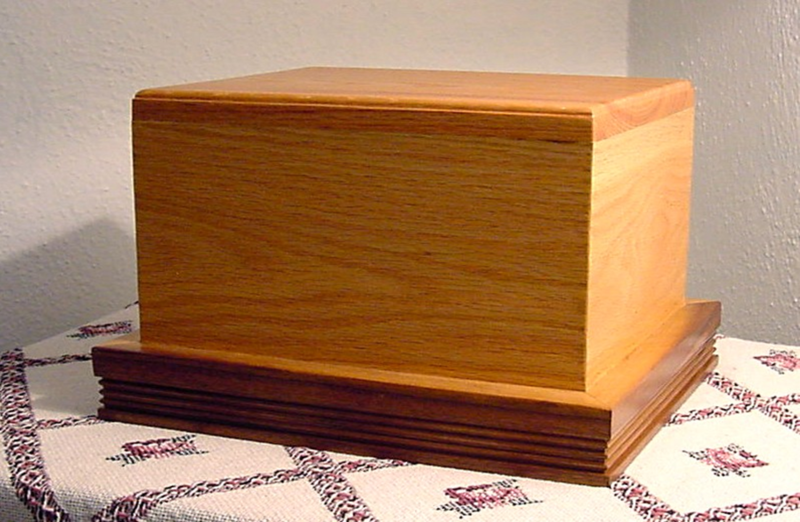 Paul obtained permission from the Blue Cloud Abby to utilize their proven simple design for the caskets, and in 2005, Lester Zimiga presented his design for the VHI urns currently used. The VHI casket is constructed of oak plywood, finished with paint and polyurethane, fitted with a simple liner and six gold painted carrying handles. The two-piece lid is designed to allow the option of closed or open viewing. The VHI urn is made of oak and mahogany, finished with polyurethane. These vessels are of sturdy construction, conforming to all safety and health requirements. They may be used at all South Dakota cemeteries, including the Black Hills National Cemetery. Availability of units may be affected by existing level of support and production capacity. These burial vessels are for use in South Dakota only. VHI provides casket or urn only. Funeral arrangements are NOT included. Please note, VHI is staffed by dedicated personnel and funded by your donations. Suggested donation amounts reflect the minimum cost to build and distribute these burial vessels. Please consider sending your most generous donation along with the benefit application form so that urns and caskets can be provided to those in less fortunate financial circumstances. No qualified veteran will be denied a VHI casket or urn due to inability to donate. Confirmation of eligibility and/or donation will be sent to you. Veterans Honored Interment is a South Dakota not-for-profit corporation, supported entirely through donations. Tax deductible donations of $350 for a casket or $125 for an urn provides for the continued availability of this program for others. Receive confirmation of eligibility from VHI prior to the death of the veteran or spouse. All current and former residents of the Michael J Fitzmaurice State Veterans Home are automatically eligible for VHI vessels.